The additions ‘S’ in https stands for ‘SSL’ stands for ‘Secure Sockets Layer’. HTTP stands for Hypertext Transfer Protocol Secure. This technology helps to encrypt the connection to a website. The purpose of this is to prevent the hackers from intercepting any of the data. The additional ‘S’ is actually a security measure of the internet and an almost foolproof method to secure any sensitive information that might be present on your website. Things like account login information and customer payment details are kept secure in this manner. In this article, we will give you an insight as to why one should switch to a secure site. 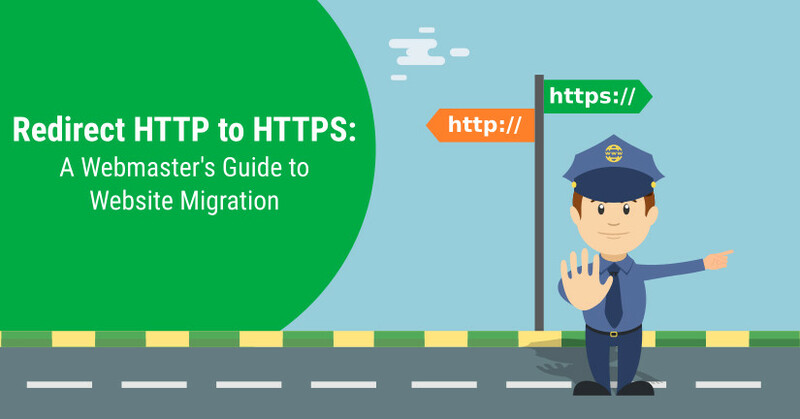 HTTPS Can Aid With The SEO Optimisation: One of the major benefits of this is that if your site is essentially competing with another site on the basis a particular keyword, then the tiebreaker of this security approach can be made by the addition https in your domain. This could help you secure the highest spot by providing you with the necessary edge. This specific algorithm makes Google provide the user with one of the best user experience. Obviously, the user will always prefer a more secure experience over a non-secure one. This is why it is a favourite among SEO consultants. 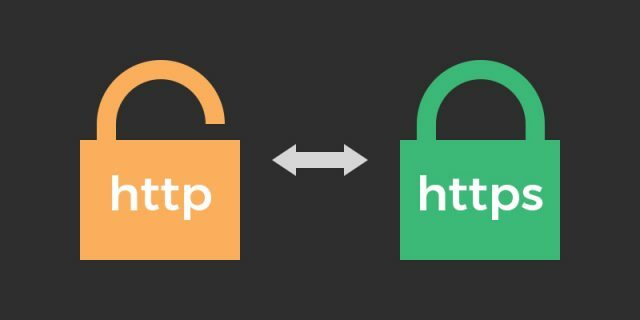 Resorting To HTTPs Help To Secure Your Website: There is a common misconception that exists about https. The misconception is that only those websites are in the need of https which are dealing with information which is sensitive. This is not true. Every HTTP which are unprotected can reveal potential information about the identities of the various users and their varied behaviours. This “security protocol” helps to secure the website’s integrity by the prevention of intruders who tamper the communication between the visitor and the site. The chief SEO strategy here is the promotion of a mobile-first technology. HTTPs Is Required By AMP: If you are serious about selling, searching or making a statement online, it is required to jump on this bandwagon of the mobile revolution. A lot has already been written a said about the requirement to make the websites mobile friendly and responsive on the mobiles. To add to this, technical factors like speed of the page loading are at par with the course. 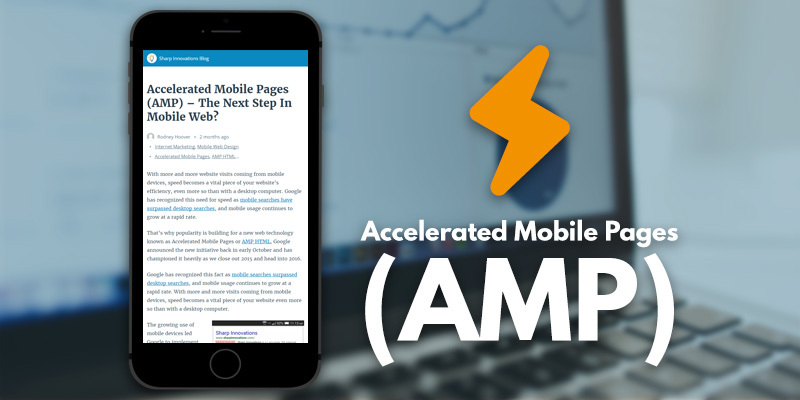 Accelerated Mobile Pages or AMP has initiated the mobile-friendly initiative for Google. 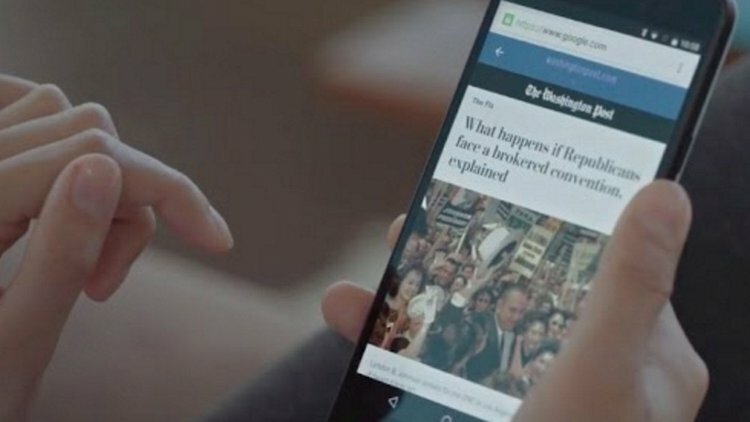 Google has developed AMP because they want their content to get loaded rapidly on the mobile platforms. SEO firms mostly resort to the Company named Web Design City. We have delivered hassle-free performances to a number of customers interested in WordPress development, web development, and web design. Our customer base is growing with each passing day and our team of professionals is working hard at it. This entry was posted in Website Design and tagged HTTPs Is Required By AMP, New Sites Should Go HTTPS From The Start, Secure Your Website, security protocol on February 21, 2018 by Sarah Smith. The most content attractive and engaging websites tend to receive more potential customers, and Google also rank those sites well in search engines being more viewers friendly. Building a website most of the times look expensive and tedious and the question that appears is How much budget should I allocate to the website designing? We have been seeing how website designing has advanced in the last couple of years from being just limited to desktops to becoming responsive (which runs on any devices and remains device friendly). A website is a face of your business, and if you have not created or updated your website yet, then you will be left behind by your competitions. 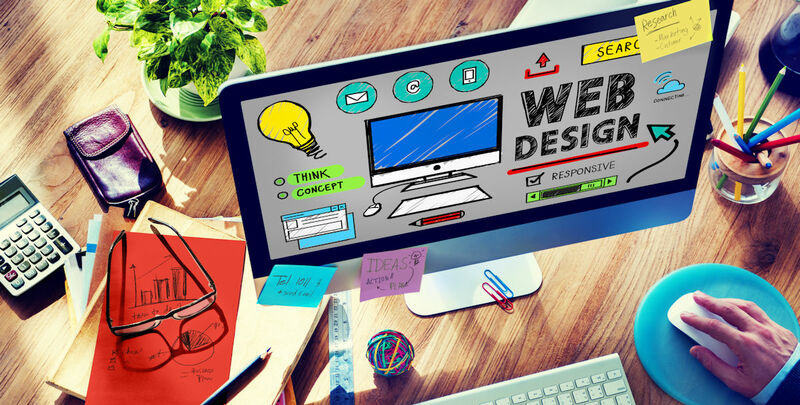 Here we are sharing some tips which will help you in deciding you’re spent on the website design. First and foremost, you have to decide what type of website you need, and typically the kind depends on what you want your website to do, it could be an e-commerce website or could be brochure website. Non-editable brochure website or a static website: this is a most basic type of website and as the name suggests these websites have fixed content and are most comfortable to create. Editable brochure website requires CMS (content management system) to makes changes in the content. Dynamic website: A dynamic website is self-managed through a content management system. In these websites, you can create more user engagement tabs (like logins, forms etc. ), here the website information changes depending on the viewer’s native language, time zone, and other factors. E-commerce site supports the sell and purchase of online goods and is integrated with payment gateways like Paypal and banks like Barclays or HSBC or HDFC. Again under e-commerce website there categorization like, B2B, B2C B2A etc. 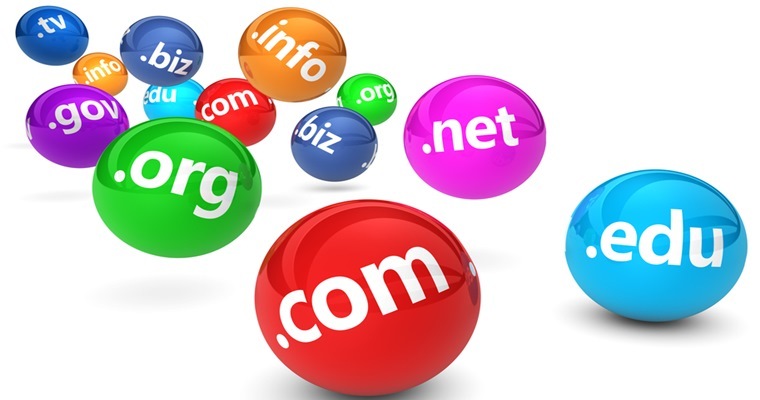 Now that you have decided the website type and now, you have to choose and buy a domain name which will be your business address. You can purchase your domain name from WordPress, go daddy and from any other domain name provider websites. You have to very careful while buying your domain name as it will directly impact your brand. You can purchase your domain name based on the domain name extensions, like .com, .net, .org depending on your business type and reach. If you try to buy the common domain names, you will find that they might be taken or expensive. You can also use domain name generators tools available online to generate cheaper ones. The domain name will cost from 12 dollars to 1000 Dollars, and you have to renew them every year to continue the services. Website hosting is understood as you are buying a space on the server to launch your website on the internet. When a user wants to see your website he can just type your domain name in the search and then the computer will reach out to the dedicated server and fetch your site and present in front of the user. You can buy hosting services from websites like Bluehost, HostGator, Godaddy and other hosting sites. These websites provide you with multiple package options available from single hosting to multiple hosting per month or yearly basis, which can cost you from 16 dollars to hundred dollars. Again, here also you have to renew the plans depending your medium of purchase could be a month or year basis to continue using the services. Here comes most exciting part of the website design, where you have to choose a template to showcase your product and services. Either you can select a template which is available for free on sites like WordPress, or in case you want a template with better functionalities then you have to purchase one. The purchasing of the templates will vary from provider to provider, and some might cost for $49 and others for $1,000 (or more). So, if you’re going with the sophisticated design templates, then it might ask you to shed extra dollar from your pocket. Some owners feel that if you have created a website you work is done, but it doesn’t work that way. Now as we discussed above that to continue your website services you would require to renew the domain and hosting plans. Additionally, keeping your website up to date with engaging content and design you would need to pay for the support and maintenance services. You can either invest in hiring people or agency to will create and maintain your website design. Now that you have the clear idea of factors where the money needs to spend, So now you can allocate your budget accordingly. Your website will not just require money but your time too. You have to keep on eye on your target potential user to find what services and answers they are looking for and then optimizing your website as per their needs will boost your ranking on the search engine results. 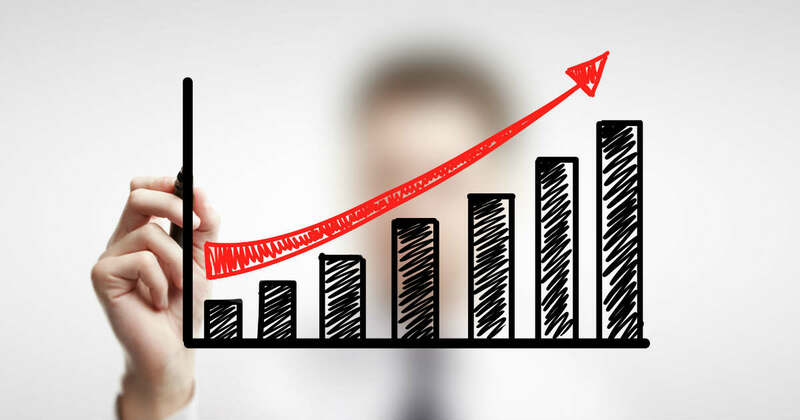 Improvement in ranking will eventually bring more traffic to your website, leading to leads and later conversions. This entry was posted in Website Design and tagged Type of websites, Website Design Budget on January 8, 2018 by Sarah Smith. eCommerce industry is continuously evolving. With each day, something new comes up in the market to increase the competition among various ecommerce business owners. People do like this kind of evolution and appreciate the new things which make their life simpler and easier. Much has been emphasized now days on personalization in Ecommerce. This is meant for tailoring the experience according to individual customers. This point has been the focus of various thought leaders across this industry. 1.) Engage customers early: – Driving the customers to the website is not that hard rather the hard part is keeping them engaged on the website. Retaining the customers for longer time on the website is the challenging part you need to think about. If the customer does not feel like staying, he will move to some other source which seems to be more relevant to him. One technique is as soon as the customer leave the website, send an email. This will give the best chance of getting the conversion. Think strategically how you can engage the customers and get conversion. If a person is visiting your website and is engaged, it is known that he or she is interested in making a purchase but might be “later” or “not right now”. At that point of time, providing a discount code or coupon will might change the decision of getting the product later and more likely to get the conversion. 2.) 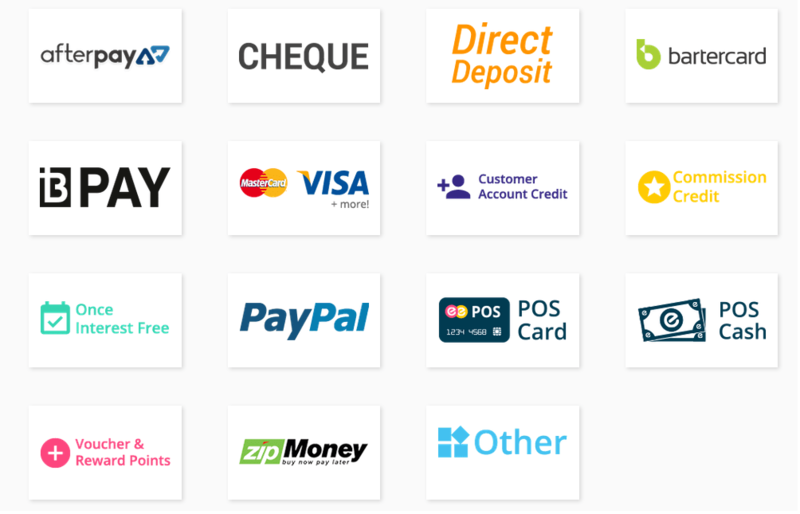 Multiple payment methods: – As many payment options are available, customers are expecting to use those many for making purchase according to their preferred method. So whether the payment method is Google wallet, PayPal or Bit coin, it is important to make customer comfortable and provide the option for the preferred payment option. In addition to that you can also provide personalized shipping options to make the customer comfortable about the delivery of the product. 3.) Tailored shopping experience: – Using the segmentation process would allow you to focus n each and every kind of client in a unique way and reach out to them in a personalized form. 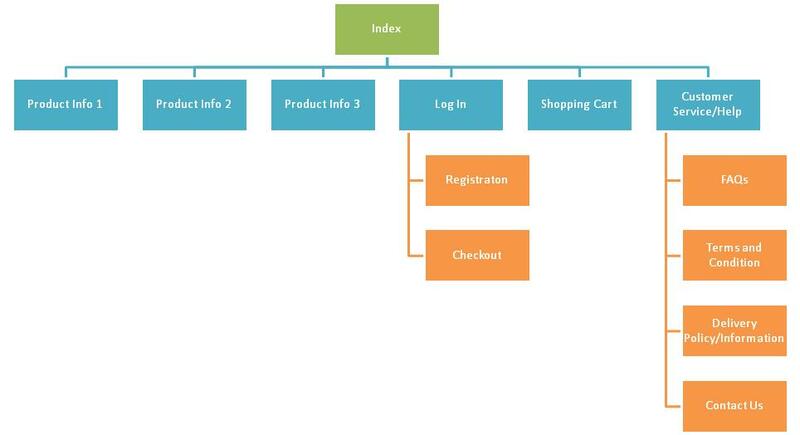 Making this kind of segments according to the customer who so ever visits your website will give a unique shopping experience to each of the customer. This will give the customer a highly personalized experience making them feel special and comfortable. With the usage of AI, this has become easier as the website learn the pattern and habit of the customer visiting the particular eCommerce website for a particular product. 4.) Implement smart search: – Smart search makes it easy for the customer to enquire about the product they are looking for. Many CMS (content management System) has this as a built in feature to make search about the product easier but most of them are insufficient. Rather than this more emphasis should be given to natural language processing, which makes it possible to find the search query related synonym, slangs or regional language terms. 5.) Use AR, AI and VR: – Ecommerce industry is going to get maximum benefitted from these technologies. 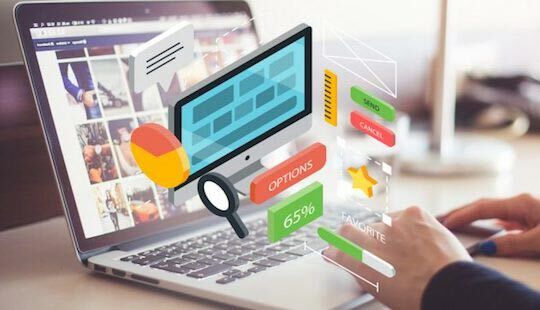 Therefore, the focus of the company should be on implementing these to provide better user experience and get maximum in the form of conversions. AI, VR and AR technologies would help in creating a personalized user experience helping in giving you the opportunity to enhance the engagement with the visitors. Reading the above content will make you learn the new techniques and trends which have and are going to take up the market not sooner but later. Ecommerce sector is and will always be the most in demand sector. So, use this opportunity with the help from some ecommerce web development company who can better guide you how to take your ecommerce business to the level of customer conversions. This entry was posted in Website Design and tagged eCommerce trends 2018, eCommerce website, latest eCommerce trends on December 7, 2017 by Sarah Smith. Google has announced on the 16th of November, 2017 that it would be implementing a policy according to which canonical content should be in accordance with the accelerated mobile pages (AMP). Google claims to make this announcement to enhance the user experience. AMP has become an inherent part of the different domains and thus Google believes it had to take this step to boost the UX. The deadline has been set on the 1st of February, 2018. Google said that it had to make this announcement as many of the websites have the canonical content that does not match with the AMP page and as a result, the user experience is affected. With the rise of the tablets and the smartphones, more users are now accessing the Internet through several electronic gadgets. 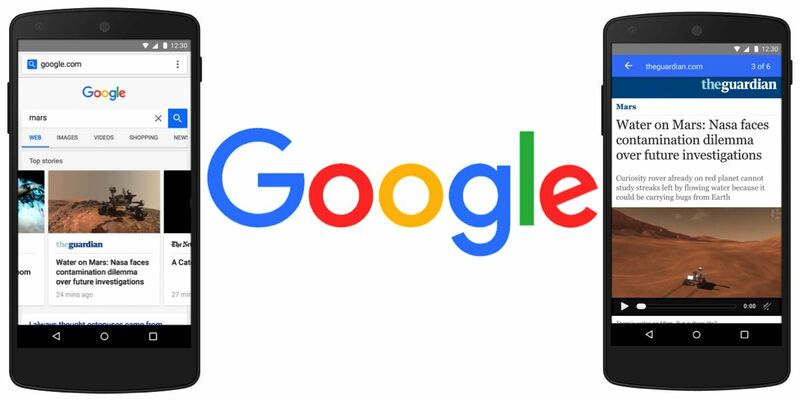 As a result, Google wanted to come up with a system which would provide the mobile versions of the various web pages. It wanted to take this step to boost the number of Internet users. For increasing user engagement faster-loading pages are mandatory. At the same time, a close parity between the mobile content and the original content is a must for augmented user experience. Another consequence for the defaulters is that the users have to visit the non-AMP site and as a result, the user experience would be affected. 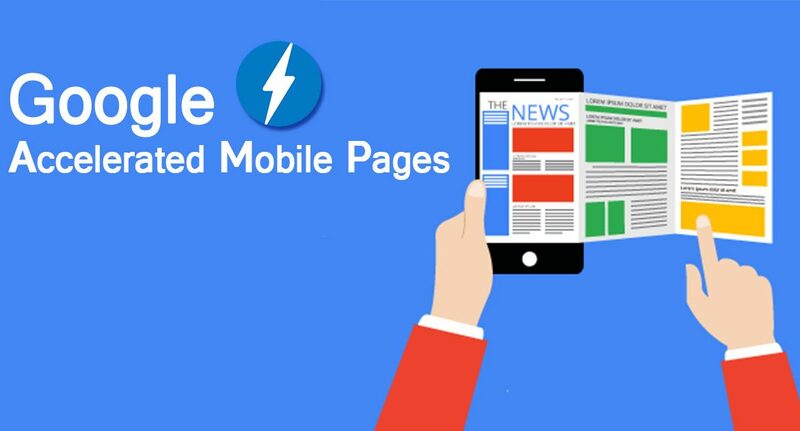 The web development company who does not have its content and web pages optimized even after February 1st, 2018 can visit the open source-site of AMP for making its own accelerated mobile pages. Google states that it does not affect ranking factors directly but there isevidence that shows Google indirectly impacts the ranking factors. 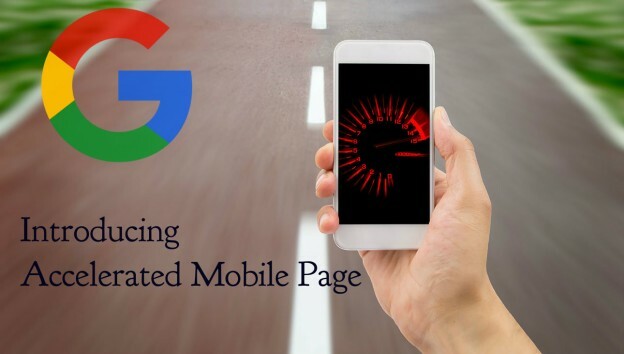 As a result, the accelerated mobile pages would become the standard for the SEO services all over the globe. Google is focusing on the widespread use of AMP and not just its usage in limited contexts only on the teaser pages. This gives the message of AMP becoming an integral part of the SEO in the forthcoming year 2018. The aim of taking this step is to safeguard the AMP initiative apart from providing an enriched user experience. Google believes it is taking a great initiative for the benefit of the Internet users all over the world. This entry was posted in Website Design and tagged Accelerated Mobile Pages, AMP on Google Search guidelines, Google will require AMP on November 24, 2017 by Sarah Smith. Working with the flow of time is a necessary and crucial aspect of being successful. For any business to succeed it is important to be up to date. When you think of getting a new gadget? It is not according to the trend. The same is with web design. Various trends come and go. Your website needs to be up to date according to the trend to make it successful. A website is the face of the company and hence needed to be according to the business. 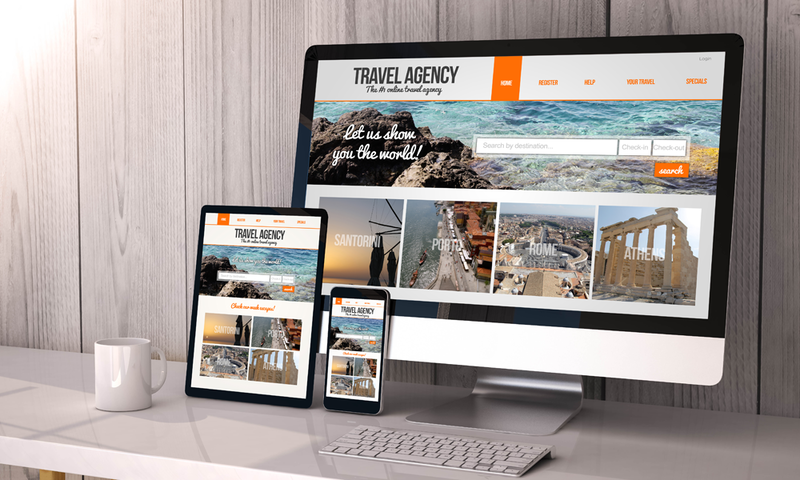 Your website must showcase what your business possesses in terms of products or services. Talking about 2018, it will be about rich experiences. Read on as we go further to know what all 2018 web design industry has kept for us in coming year. Clean Layouts: in 2017, developers and designers were focused on creating websites which are clean and simple for providing good user experience and for better mobile performance. This trend will continue as mobile usage is going upward and the trend has been settled for long term. But for 2018- New Web Design Technologies is the jargon! In 2018 web design trend, website will have interactive animations, augmented reality, chat bots and much more. Internet of things: This uses technology to connect devices available with you to internet.eg: apps for tracking your lost keys and much more. In 2018, we expect to have IOT interface on websites to make it easier to interact with smart devices. This will definitely be a task for web developer to keep you connected and create an interface for better performance and simple to use. Typography: This is concerned with the design part. While 2017 is about keeping the website clean and simple, 2018 will see the transformation in website trend with more focus on typography. We expect to see more text based links on the websites rather than call to action buttons. Virtual reality video: In 2017 we saw rise in videos being posted on websites. It is about posting the videos about the company and the products we use in daily life. There was rise in applications and services that makes it easier to create those videos. But now 2018 is about making virtual reality videos. Virtual reality has gained the market in few spheres and is still moving ahead in other domains as well. Simple animations: With the rise in technology search engines are now much capable of handling animations than they were in past.2018 will unleash the idea of using simple and easy animations with the perspective of information. Designers then will focus more on the content to be highlighted rather than the animation by keeping it faded. Chat bots, machine learning and AI: 2017 was all about chat bots and artificial intelligence and machine learning. It has made facebook to know us so well. Social media websites know what kind of stuff we want to read and go through. All thanks to AI and machine learning. 2018 will be about improved user experience by incorporating this technology in websites. With this the websites will become smarter and will get to know more about us with our past interactions. Security: Security is the primary concern when we think about web design or development. When you think of your web design, make sure that the customer information security is not at stake. Keep your pages security certificate up to date. This increases the websites credibility. Take risk: Building a website according to the new technologies is a bit risky. But, take risk and make your customer feel special this year. In 2018 give your customer all the way a new technology website which will give him experience of his lifetime. Taking note of these upcoming web design trend will definitely help you in getting your websites or your customer website and business on board. Hiring a professional web designer would help you in getting ideas about the upcoming trends you can follow to create your up dated website which can prove to be a game changer for you. Website designing industry is all set to come up with new features to give user the best experience of his life while going through a website. This entry was posted in Website Design and tagged top web design company in Australia, web design trends for 2018 on November 6, 2017 by Sarah Smith. Are you done with all the techniques you need to follow for the website ranking on the search engine? The next steps is just wait and watch your performance of the website. But, you are not getting the results what you have expected. So, if this happens, then you must have missed something in terms of marketing your properly in digital marketing domain. You really need to focus on. In most of the cases people while focusing on the major part leave those minute but crucial aspects of web designing which can either make or break a website. It is easy to focus on bigger picture. You need to focus on the vital part whether big or small which can prove to be pertinent for your business success. Responsive behavior: having a website is not difficult but a website which are loved and appreciated by the one who visit it is difficult. For this you need to have responsive website means a user must be able to have enjoyable experience while visiting your website through mobile phone, personal computer, laptop or tablet. Let’s take a look at some facts, on an average a visitor give 3 sec on webpage to load else will drive to other website or source, 94% of the user cited that unattractive and boring web design are the major reason they will reject the website all together, 48% feel that it is the crucial factor in determining the credibility of the website. So, for getting the traffic on the website you need to have attractive, faster and credible web design which caters to the need of the visitor. Easy to click and read contact information: the main reason behind developing website is to make reach to the people and get business. So, making it easy for the visitors to contact you is pre requisite foe business success. Make your contact information easily available on the website. Visitor should not be lost on the webpage to find your contact details. Your business contact information- phone number, working hours, address etc should be provided in an easy manner to get the details easily. 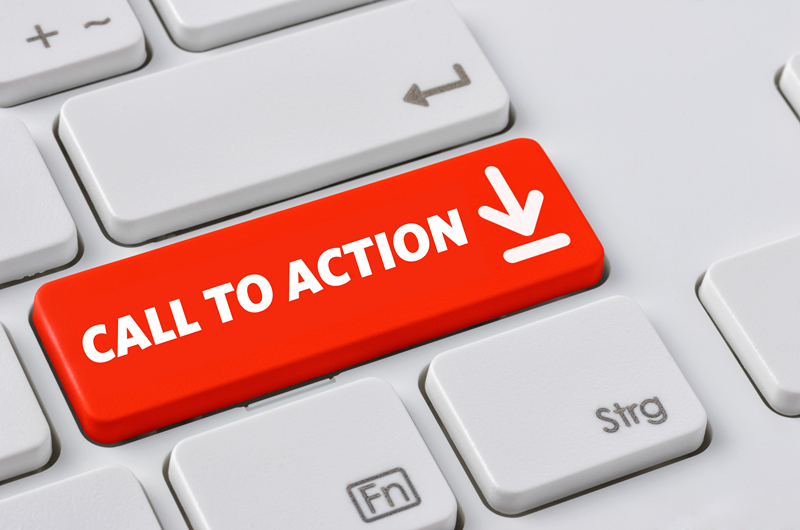 Readily available Call to Action (CTA): We Design Website to get the visibility and conversions. Use call to action buttons so that people contact you or book an appointment, request a quote or sign up for newsletter. Depending on your business goal set a suitable CTA button throughout your website. Your website should be capable enough to take the visitor to the desired next level which helps the user in getting the information in the most convenient and easy manner. Keeping these elements in mind would not only help you in building a website which would be convenient and attractive for the user. These elements will help in keeping the crucial aspects of marketing in line with the user expectations which would generally draw the result. To explore some of the best web design tactics check out Web Design City Portfolio and contact us. This entry was posted in Website Design and tagged Web Design Companies, Web Design Mistakes on October 25, 2017 by Sarah Smith. With every New Year we see some change in web design elements which give rise to new techniques. Some elements if used in a thoughtful way would help in explaining your company and its ethos. While some of the other elements work on the responsive website design part to make it more users friendly. But with too many options to choose from, it is a challenging task to which one is really going to work and is worth considering. You need to narrow down your focus and for the same we have some important elements of modern web design which can be incorporated in a website to improve its performance. Unique and large typography: Most of the companies have a predefined font or typography. This particular font helps them to get identified by the customers and can be compared with the competitors. In recent years designers have got so many options to choose from. This makes the brands more comfortable as they get more means to express themselves in an easy and convenient way. 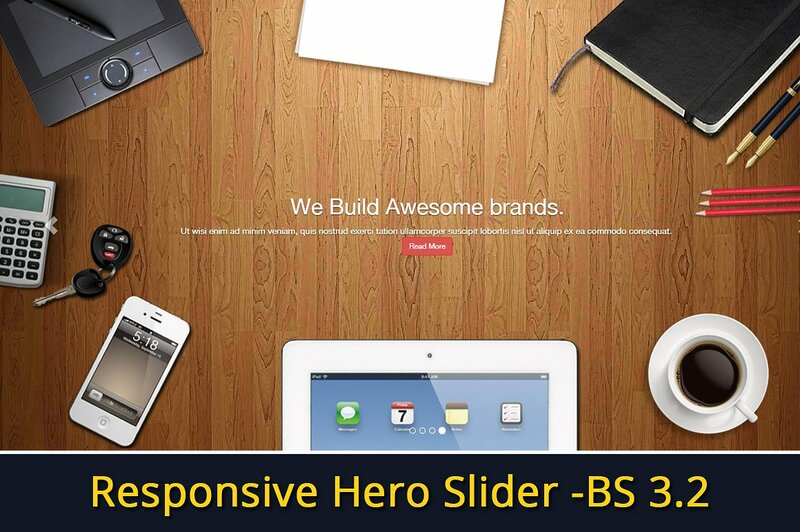 Large and responsive hero images: large images help you in expressing your business ideas and your components without relying much on text. Large images help you in expressing yourself in an easy way. People do like the images rather than just going through the whole text. It is an easy medium top get the business on board. Responsive images are an easy way to get the visibility as these are operational on any device. Background videos: videos are the best medium to express your business. These videos can be used to tell a story and significantly reduce the amount of other content that is needed to explain the business. 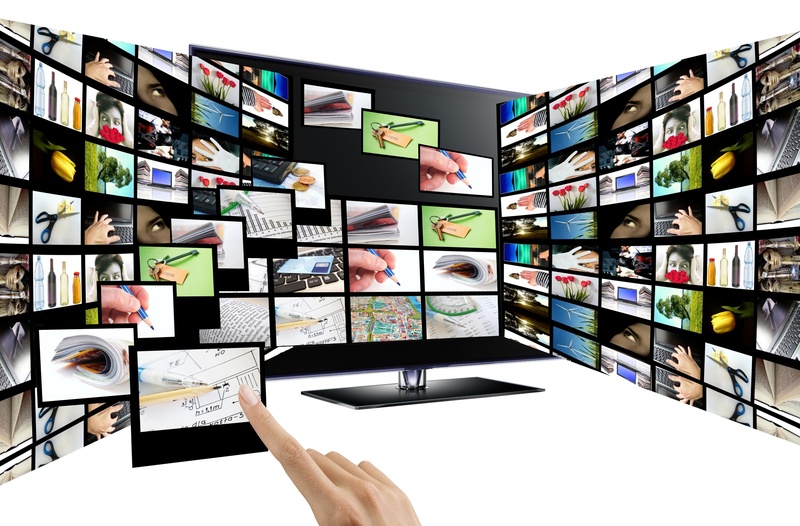 With the help of videos people will get easy access to the deeper look about the business. Background videos are an easy way to get the audience engaged and get better idea of the company. Semi flat design: flat design is a type which does not include any shadow or does not give the perception of three dimensions. Not only these images are easy to load without much technical elements but are easy to comprehend by the user. Flat images help the user to understand the content more easily and quickly. Regardless of using three dimensional elements for your website it is important to be consistent throughout your website. Hamburger menus: while going through numerous websites one thing has come into focus that is the menu bar where the options will directly land you to the page concerned but consumes lot of valuable screen space. The hidden or hamburger menu changes this. The pages of your website should have clear path for the user. Using this kind of menu design will make the navigation clear, easy and distraction free. Giant product images: Now days each and every business is using giant images of the products they are focusing on to give user a better idea of what they are purchasing. It highlights the features or parts of the product. These types of images help the designer to focus on different features of the product in an efficient and effective way. 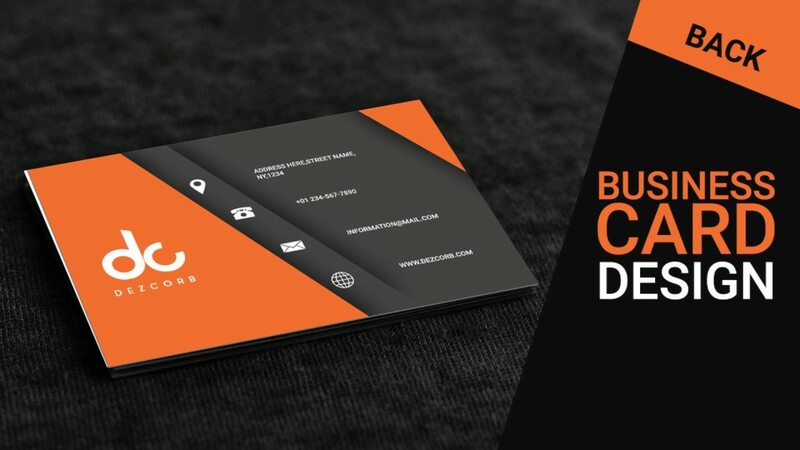 Card design: it has now become more prominent among B2B and B2C websites. This kind of designs helps in providing the information in small chunks to the user. 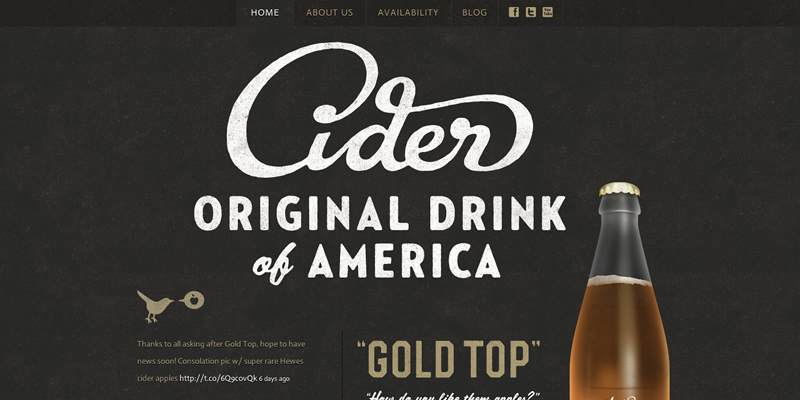 With the usage of these kinds of designs your site can help highlight multiple products side by side. This entry was posted in Website Design and tagged 7 Essential elements of Modern Website Design, Modern Website Design on October 24, 2017 by Sarah Smith. Web Design and development is that part of a business function that closely focuses and monitors the website starting from its beginning stage of hosting, to its development and finally, goes on to its designing followed by different testing techniques. Prioritize cross-disciplinary collaboration and build a team culture together that leads to better choices, more efficient process, and more effective work. To deliver the best results, below are mentioned some of the main Strategic Foundations of Effective Websites that builds essential elements of the brand strategy process into digital strategy and design. After all, branding is a translation of organizational strategy, and as I’ve stated, websites are critical to executing it. So, briefly, how does each of the four core website strategies work together? The brand is that part of the business that helps to make a people identify your business or the service through your website. Brand strategy workshops uncover critical insights and questions, identify organizational goals, and clarify what mission success looks like. Brand strategy is the first move that must be done on a primary basis. Then it is followed by, specific goals for content, design, and technology development are then contextualized for how they will support organizational strategy. To make your brand to get maximum awareness, the focus of every website must be on creating their pages and accounts on popular social media websites like Facebook, Twitter, LinkedIn, etc. This can really help your website gain maximum attention for your products and services. Developing fresh and newer content for the readers may be the hardest part of most website engagements especially when it comes to content-heavy websites. Content strategy makes this tiring process easier by answering questions like “What content do we have?”, “How good is it?”, “What should be the content title?” and “How will new content be produced?” etc. But because content development will likely happen throughout the design process, it is much necessary to make sure what we are writing and will it impact the lives of readers. To make sure that the website is leading, the content must be informational rather than promotional. It should have some sort of spice to make your readers get addicted to reading your new contents. Get actively engaged with the web development team throughout the design process of your website. It is critical to making sure that the budget doesn’t get exhausted. Web development is driven by design, and thus should not be taken lightly. The web designing is the last part of all the strategies which specifies the layouts Designs that can help to make you make a visit, a customer in future. Building design strategies can really help in giving justice to our ideas, words, and coding. The design must be updated on a regular basis by everyone on the team to make sure that the website helping the business in achieving the strategic goals. Last Day of 37th GITEX Technology Week. It’s good to see that; today the worlds’ most supreme and prestigious technology event GITEX Technology Week Dubai is coming to an end. It has left behind a remarkable experience in each of the minds of the investors, inventors, and the audiences as well. Our Website Design and Development Team Sydney got the insights of all the latest trends and the drift which the web designing, development and the SEO has really made to make a successful move. We are planning to alter our strategies accordingly in order to deliver a splendid website. This entry was posted in Website Design and tagged GITEX Technology Week, Successful Website, Web Design and development strategies on October 12, 2017 by Sarah Smith. DUBAI: The worlds’ most global and supreme technology events that are being held in Dubai, GITEX Technology Week. The GITEX Future Stars will bring in all the world-class industry innovators, government leaders, technology inventors, and future entrepreneurs together in the summit that will last until 12th October, at Dubai World Trade Centre. The main goal would be the focus on the frontier technology that will lead to the transformation of the corporations into the global powerhouse; visitors will experience finest and latest trends in the block chain, artificial intelligence, robotics etc, at the 37th GITEX Technology Week. At the first hour, Dr. Werner Vogels, Chief Technology Officer and Vice President of Amazon.com anchored the event with a focus on how Amazon scaled growth to transform from a bookstore to one of the world’s fastest growing eCommerce enterprise and the technological leap that took place during its growth time. 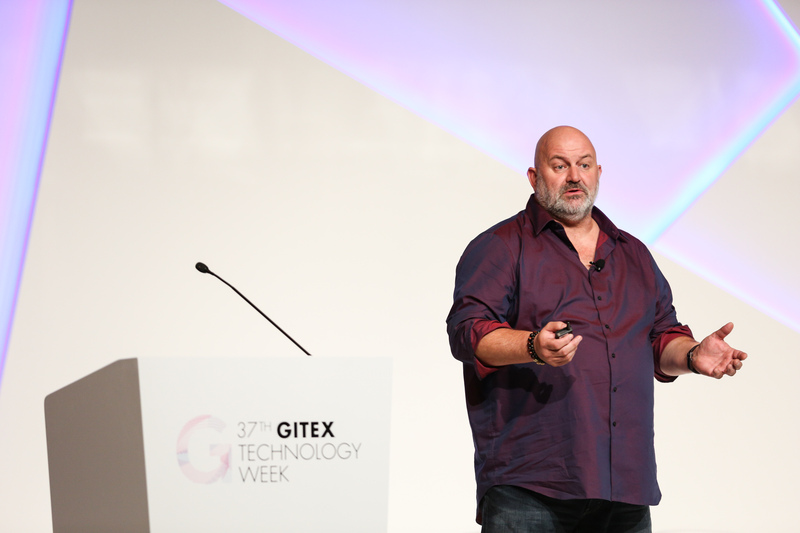 As compared to the last year’s record, GITEX Future Stars has seen a growth of around 65 percent in terms of the participation of the innovators. 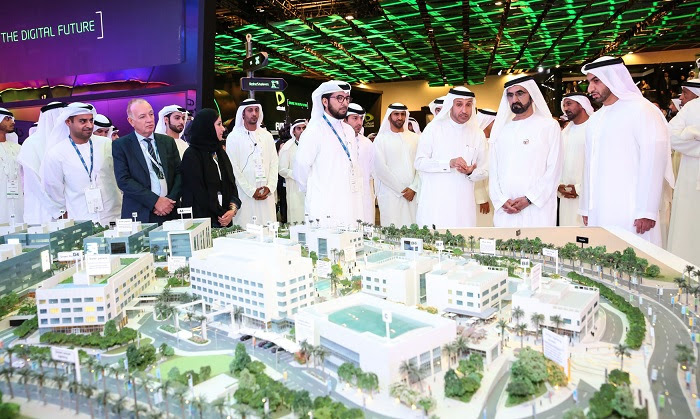 Startups at GITEX Future Stars showcased cutting-edge technology in the development field, with water-powered flying taxis, avatars that can translate speech into sign language, and smart palm trees designed to boost public Wi-Fi access, to name a few. Throughout the week, GITEX Future Stars Summit will give the innovators once in a lifetime opportunity to accelerate their products, talents, inventions, and startups with an easy access. The best investors will be awarded 1.2 million as cash prizes award through competitions all week. The best startup will be able to showcase startup success stories, helping them to get funded by some of the great venture capitalists. said Trixie LohMirmand (Senior VP, Events Management, Dubai World Trade Centre) at the GITEX Technology Week. Emerging technologies will be presented on the show throughout this week. Startups are testing the boundaries of technology for making it a sheer reality, to multi-national firms unveiling their latest equipment and technology solutions like Artificial Intelligence, AR/VR, robotics, etc. So stay connected with us for more and more information related to this Grand Exhibition GITEX which is being held in Dubai, as our Team of Web Design City is there to provide with some of the hot stuff and news regarding the Web Design and Development and the latest trends that have been evolved throughout the Summit. This entry was posted in Website Design and tagged GITEX Technology Week, Smart City Dubai, website design sydney on October 10, 2017 by Sarah Smith. 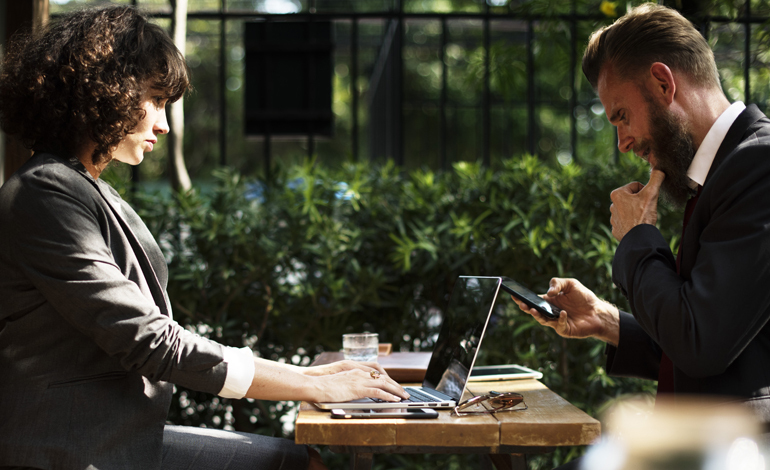 In the present world of technology, there are more ways to connect with the customers. There are e-mails, social media, mobile apps, meetings, focus groups, trade shows etc to help the business to make a contact with the customers. It is followed by every business, like large companies or the small businesses. There are customer relationship experts in every business to find out the ways and means to get in touch with the customers. This entry was posted in Website Design and tagged connect your customer through website., social media on September 29, 2017 by Sarah Smith. Web Designer is a person or an individual who completely deals with the website designing and web development part and has professional knowledge and techniques to handle the websites. Web Designers help you to create professional and properly designed websites and are also involved in support and maintenance of the websites after the project Delivery. A Freelancer is an individual who is self-employed and work independently. They either work for themselves or for the company with whom they are associated temporarily on contract basis. They work on projects that are basically for short spans and make use of the websites to get them connected and engaged. Why Prefer Professional Web Designer over Freelancer? This entry was posted in infographics, Website Design and tagged Professional Web Design, Web Design Company Or Freelancer on September 13, 2017 by Sarah Smith. The first component that your website really needs is a web space that would enable you to save all the files, media, rich media etc. called as server. The faster the server the faster would be the loading speed of the website. Think of your website as a collection of large amount of files. When it’s “hosted” on your computer like all of your other files, only you can open it up as it is utilizing space on your hard drive. But, when you host those files on a web server or purchase the web space, anyone can be able to connect to that server via internet. Hosting companies offer you space on these servers, or if needed they can even provide your own hosting on your own dedicated web server, but only after you pay for it. If you are interested in purchasing a hosting package from a dedicated hosting provider, which is usually offered by the domain name of the registrar and they would let you upload your website files on it. Now once you connect that domain name, anyone can be able to view your website. 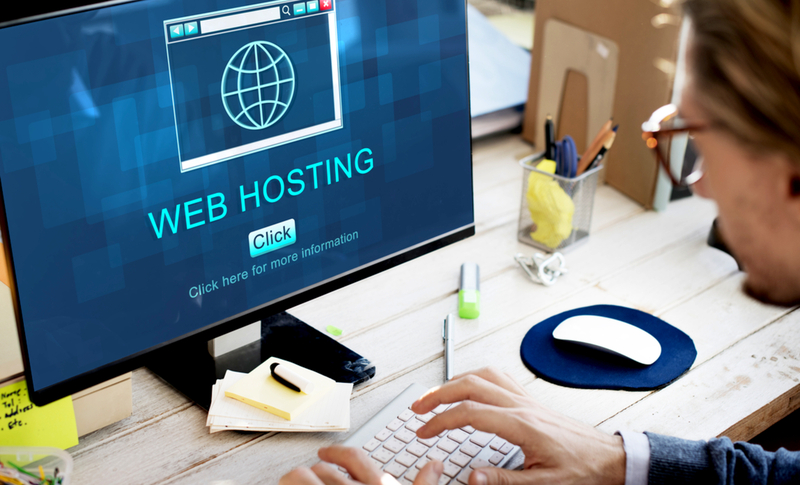 There are a few things that must be considered while planning for a Web Hosting. Before initiating your own website designing, try to survey a name for which you want to be get known for. The more spicier and attractive name would help you to grab more and more people’s views. The name of the website must be in parallel to the products, service or the information that are on offer on the website. On the contrary, it’s not necessary to have a perfect domain name. Some names might be better than others, but ultimately it is considered as a very small part of your business, but what matters most is the actual content available on your website. CMS (Content Management System) is a very valuable platform through which you will be able design and customise your own website. If you really wanted to alter the changes onto your webpage, you could easily edit every time you want to make a change to your business website. This is the minimum amount of pain that one has to bear. A CMS platform like WordPress, Joomla, Drupal etc. lets you edit your website using your own domain itself. You can log on using your own username and password in order to customise the layout, settings as well as contents, create new posts and pages, often using website templates that are easy to use. In other words using a CMS platform makes creating as well as updating information’s to your website much easier and thereby saves your valuable time. A logo is one of the main ways that will help your viewers and the customers in order to recognise your business. 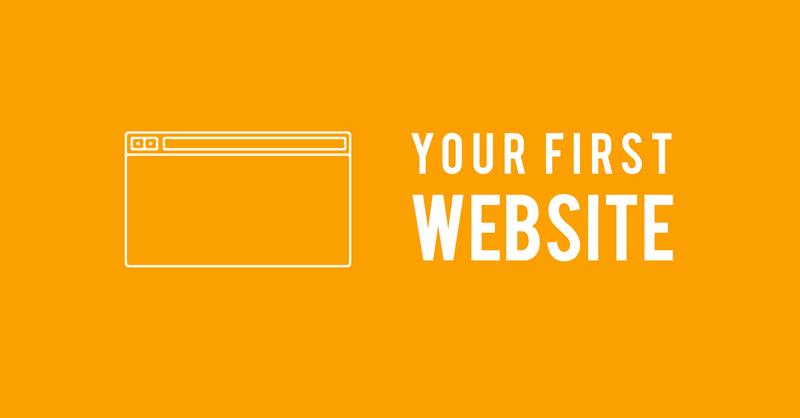 If you already have a business of your own before the launch of your website, then it would be an easy task. Else, you have to devote your time in order to design your own logo for your website. You can also take the help of different websites in order to make your logo creation easier. A website will stay alive only if it gets a dose of regular content updates. To make a website perform better, it needs to be updated on a regular basis ranging from daily, weekly or even monthly. Haphazard or irregular updates would lead to a trouble and could lead to lower ranks in the search engine result sites. You must stress on adding engaging long content, adding rich media like pictures, videos, presentations etc that can make a user stick to the website for a long time. This entry was posted in Website Design and tagged affordable web design for small business, business website design on August 11, 2017 by Sarah Smith. In the today’s generation, with the rise in use of internet, eCommerce portals and websites are playing a very significant role in business as it is a very convenient method of buying goods and services and get it delivered to our door – steps. 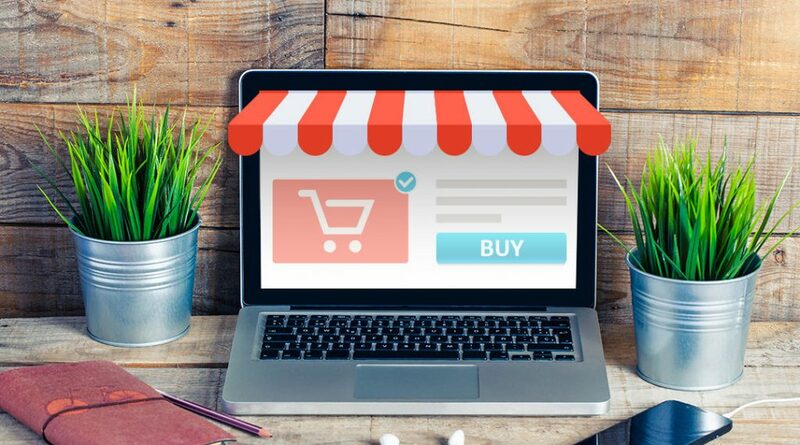 E-commerce (Electronic Commerce) is the buying and selling of goods and services, or the transmission of funds or data, over an electronic network i.e. internet. These business transactions could be either business-to-business (B2B), business-to-consumer (B2C), consumer-to-consumer (C2C) or consumer-to-business (C2B). The term e-commerce can also be called e-business or e-tailing. Thus to make a global presence and create reach, it is important for the business to get inclined towards the use of electronic mediums. As the use of internet is spread across the globe, the business can make use of the internet to create a worldwide reach and make them available, the goods or services delivered to their doorsteps. The cost incurred on advertisement and communication is much lower as the business uses e-mails, phone calls and other online advertising mediums, the cost incurred on human resources is also low as most of the business processes are partially or fully automated depending upon the company’s budget. Middlemen like, wholesaler, retailers, agents etc. are eliminated to a considerable extent as there is a direct relationship between the business and the consumers. Due to an efficacious supply chain, the cost incurred on nurturing inventories is reduced. Using the e-commerce as a mode of the business operation, the suppliers can prevent the overhead costs for constructing the physical store front. The business can also customize the website or payment options or delivery for its own e-commerce. Taking into consideration the tastes and preferences of the customers, the business can thus design and develop new technique in attracting them. E-commerce business through internet provides up-to-date information about the business and its products to customers. By answering the customers’ queries and providing them with the authentic reviews, a business organization is able to win the loyalty of its customers. Quick delivery of goods and effective communication would lead to customer satisfaction and retention on a long time basis. E-commerce enables the customers to choose from a wide range of similar products or services. A virtual store thus helps the business to build stocks of lots of goods with reduced inventory cost. Hence, a business provides a lot of choice to consumers to choose from a variety of products or services of his /her will. Customers can buy any product from anywhere in the world without worrying about the delivery to their workplace or residence through internet. Due to ecommerce, the gap between producer and consumer falls to a great extent. Thus the cost incurred by the business on the intermediaries reduces to a great extent benefitting the consumers. 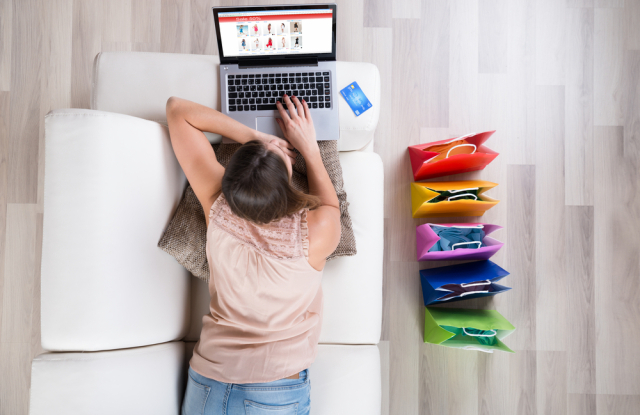 Time of a customer gets saved to a great extent as shopping is done from home on a computer or mobile phone. Time taken for selecting, buying and paying for an online takes considerably less time as compared to physical shopping. Product descriptions for every product must be descriptive and brief. They include attractive buzz-words and phrases like “built to last”, and “nothing makes for a more perfect gift, than this box of possibilities” etc. that gets the reader exhilarated about the product or service on offer. A clear call-to-action serves one purpose, getting your potential customers to the checkout page more quickly. It should be instantly visible on the product page. For example: Adding the “Add to cart” button just under the product’s price with attractive font would make the visitor to click on the button more frequently. The successful ecommerce business focuses on taking real pictures of the products in to product page so that the customers get what they saw. Website navigation is that the most expected issue that ought to be achieved by the nice website style. Your website ought to have the proper design with simple navigation keys like the use of bread crumbs. Incorporation of product stock information into the product pages helps in knowing the stock levels of the products he/she is going to purchase. One of the best things about adding stock information to the respective product page is that once stock drops below a certain level, you may actually see sales pick-up, as a result, it adds a sense of urgency to improve conversions to a considerable extent. It gets the visitors to make an immediate buying decision knowing that the product might go out of stock very soon. At Web Design City, you get the privilege to create your own eCommerce website as we are leading website designers in Sydney, Australia. Web Design City offers various eCommerce designs for your business at a very competitive rates. So visit at www.webdesigncity.com.au to avail the class apart benefits. This entry was posted in Website Design and tagged eCommerce development, Ecommerce Website Design on July 10, 2017 by Sarah Smith. Web Design City is a highly appreciated name in the field of web development, Web designing, SEO, mobile applications, online marketing. With over 10years of experience and expertise we have come up with better business solutions for the clients in Australia the form of better websites and better ranking. What is the basic need of any online business? “MARKETING” be it online or offline. For online business we need to have an enticing website. Here web design city comes into picture. We provide our clients with best website which would be easily understandable by the customer as well as user friendly. We think about our customer first. We build a website which provides maximum benefit and rank higher on search engine. We use SEO tool to track the performance of the website and based on the feedback act accordingly to resolve the issue. We provide custom solutions to the customers. WEBSITE DESIGN: This is the first step of any business. Web design city provides you with better business competent ideas in website design. We use word press as platform which is highly recommended for website designing. WEBSITE DEVELOPMENT: Use different platforms like Word press, CSS, HTML to develop any website to provide better web solutions to the client. 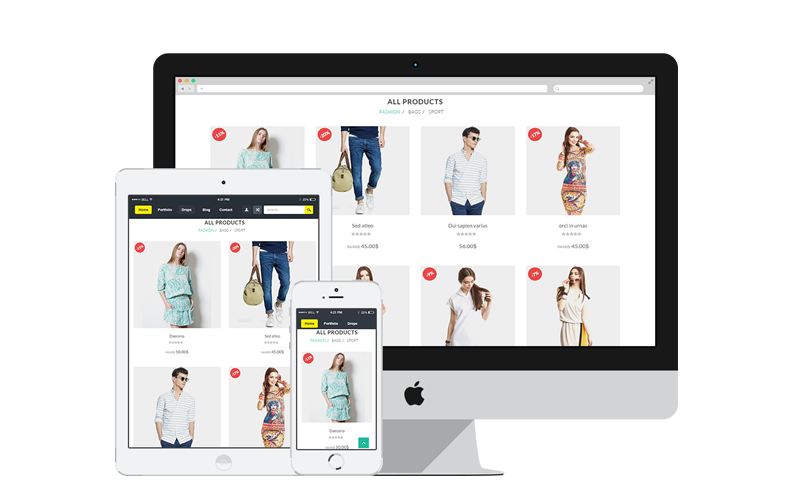 eCOMMERCE WEB DEVELOPMENT AND DESIGN: designing an eCommerce website is not a big deal but to make it attractive, customer friendly in today’s time is a must. Every eCommerce website has common goal and that is generating “sales”. We design websites while keeping in mind that it must consist of all the attributes and features needed to rank high and should be customer friendly. MOBILE APPLICATION: every single person carries a mobile. They do not want to open a laptop or a PC to visit any eCommerce website. People prefer things which are comfortable and ready to use. We build mobile applications which helps in engaging the audience more effectively. DOMAIN AND HOSTING: we provide better domain and hosting in an affordable manner which helps in identifying the services and product and reaches more to the audience in an easy manner. LOGO DESIGN: Logo helps any organization in its branding. “We create brands”. Our team of expert designers creates logo which can capture the essence of the business. ONLINE MARKETING: Business ethos lies in online marketing. Web Design City is a well known name in online marketing. We understand the demand and provide them with the best possible solution to reach wide number of audience in an easy way and form a strong customer base. SOCIAL MEDIA OPTIMIZATION (SMO): Social Media is the biggest platform now for any business. We help in promoting business through social media optimisation and keep track of the ranking as well as the interaction on social media and increase ranking through social media visibility. Web Design City understands you and provides you the best web solutions for all your queries. Do not restrain yourself from being a part of our organization. Work by us is highly appreciated, affordable and is done in a planned manner. Doing business is not easy, so trusting the best in market is only possible to way to get it done with better performance. A professional organisation understands the difference between the relevant and irrelevant links and can make a huge difference. This entry was posted in Website Design and tagged Custom Web Design‎, Web Development Services on July 7, 2017 by Sarah Smith. Responsive web designing is a one stop solution for all multi-screen problems. The approach aims at making a website design which can ensure that users have a good viewing experience irrespective of the device they are using. 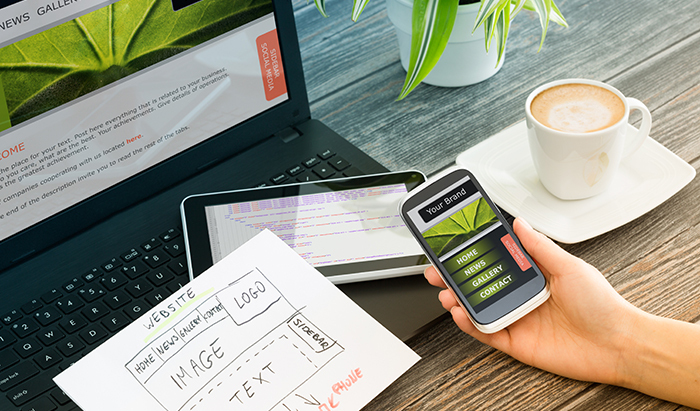 With a staggering growth of mobile devices and mobile data usage via websites, social media, apps and games, it has now become essential to make your business website more mobile friendly. This helps clients and prospects easily browse through your website to find the required information easily irrespective of the device they use. It is quite obvious that creating a new version of a particular site especially for every screen size and device would be a very impractical solution. The concept of responsive web design is based on the fact that design and development of a website should respond to a particular user’s behaviour based on platform, orientation, and screen size. This practice takes into account flexible grids and layouts, images and an intelligent use of CSS media queries. As the user switches from their laptop to iPad the website should have the technology to automatically respond to the user’s preference. However responsive web design is not only about automatically resizable images and adjustable screen resolution. It includes a wide array of factors in terms of design and thinking. Let us have a look at the three important components. Media queries let a designer customize the presentation of the content for different media types like screen, print, TV, handheld devices etc. Based on the media type the font, style and other elements of the page can be easily customized. Media features include device height, aspect ratio, width, and colour index. Fluid grids play a big role in helping the responsive web design framework to conform to the proportion of the screen. In a fluid grid design, everything is coded in terms of its relative proportion to the base element, which means values are specified in a given in relative size or percentage. Viewing photos on a low-resolution tablet or small screen phone can be quite daunting if they don’t currently modify according to screen dimensions. Most modern responsive designs use the CSS max-width property to make images scale. Responsive web design allows designers the flexibility to rescale a photograph or simply hide it for small screen versions to focus more on the text. According to Google, if customers have a hard time navigating through your site, chances are 61% high that they would eventually leave your site, even if they had loved the desktop version of your site. This practically means that when they leave your site, they would automatically go your competitor’s site and you shall end up losing a valuable customer. Your website is a marketing tool and you should take adequate measures to ensure that your website looks feels and works great irrespective of the platform. Responsive web design makes it very easy for Google to index your website so that it shows up near the top no matter which device the user is using. The benefit of responsive design is that you would only need to optimize the content for one link keeping the URL structure constant for all devices. 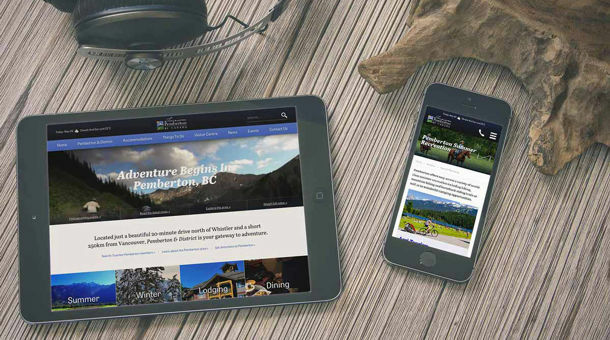 With responsive web design, it is easy to optimize and update your content on all devices. By providing a single, dynamic version of your website, you make it easier for search engines to understand and serve your content. 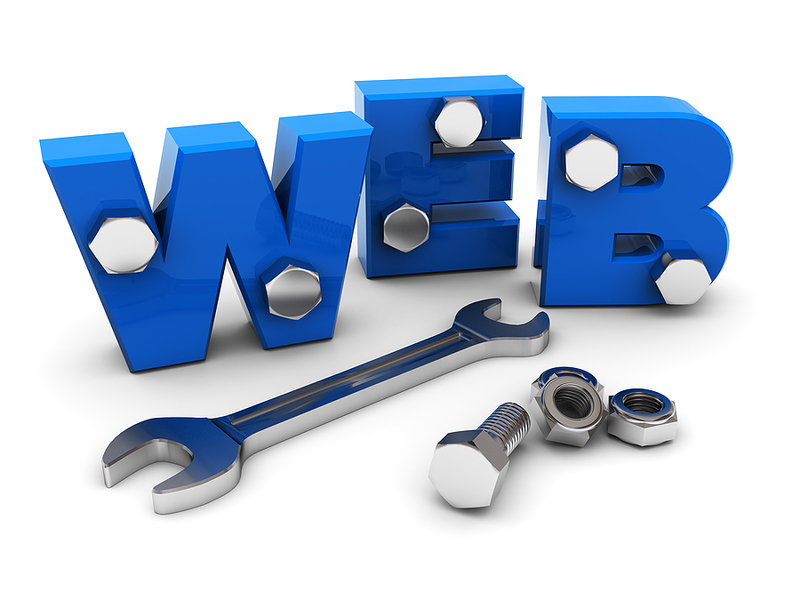 Responsive web design reduces maintenance efforts by improving efficiency. When you update your website the changes are updates across all platforms. It not only provides a better viewing experience but also helps to save money. When you have a website which works well across all platforms and has a modern, sleek and clean look it becomes easy to keep your customers satisfied which in turn help to generate more revenue. Responsive web design provides the users with digital brand experience which in turn helps to provide them with a comfortable browsing experience. Implementing responsive web design is much easier and time-saving rather than creating a different website for your mobile sites. If SEO is a core component of your digital marketing strategy, having a mobile–friendly website is essential to ensure success in the digital domain. 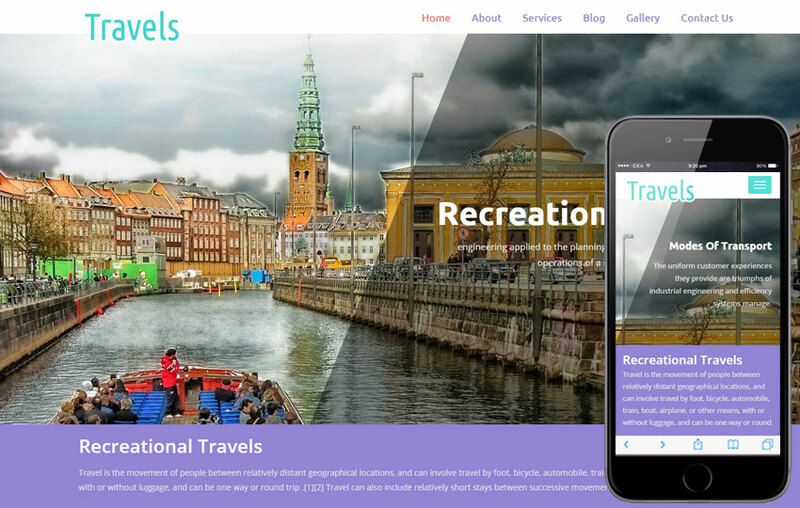 This entry was posted in Website Design and tagged best website design company, Responsive Web Design on June 21, 2017 by Sarah Smith.